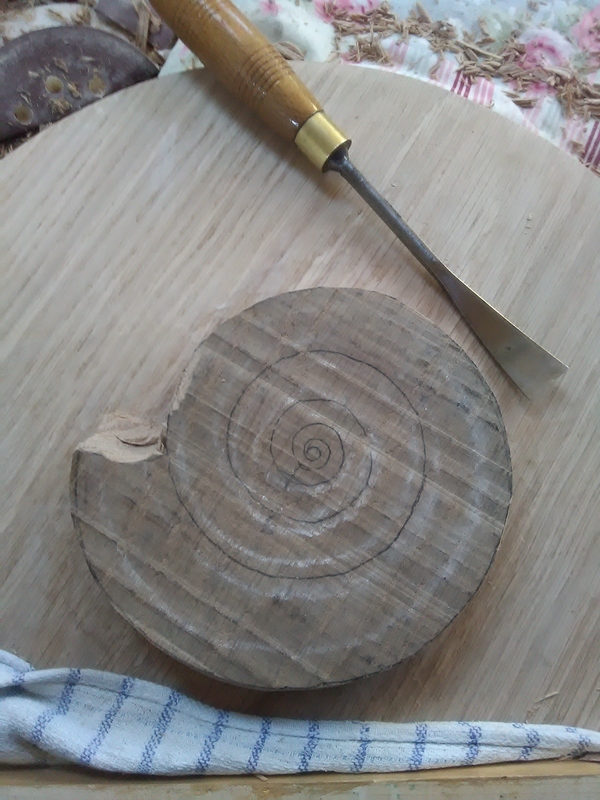 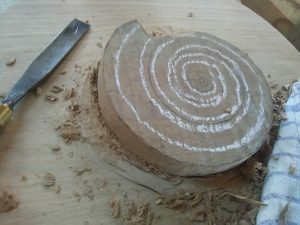 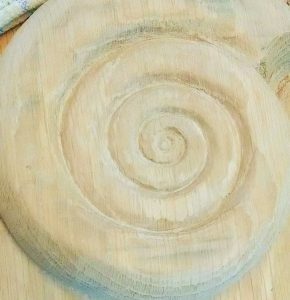 I was asked to carve a round sign in time for Christmas, bearing the words “Barrow upon Humber Geology Museum” and featuring an ammonite fossil; it so happened that I had a suitable piece of oak, big enough for a 14″ circle and at 3″ thick, deep enough to be able to make the fossil really stand out. 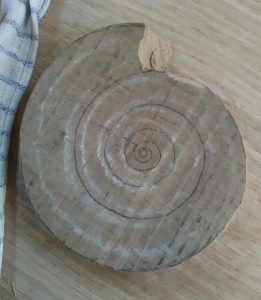 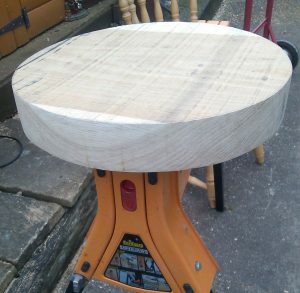 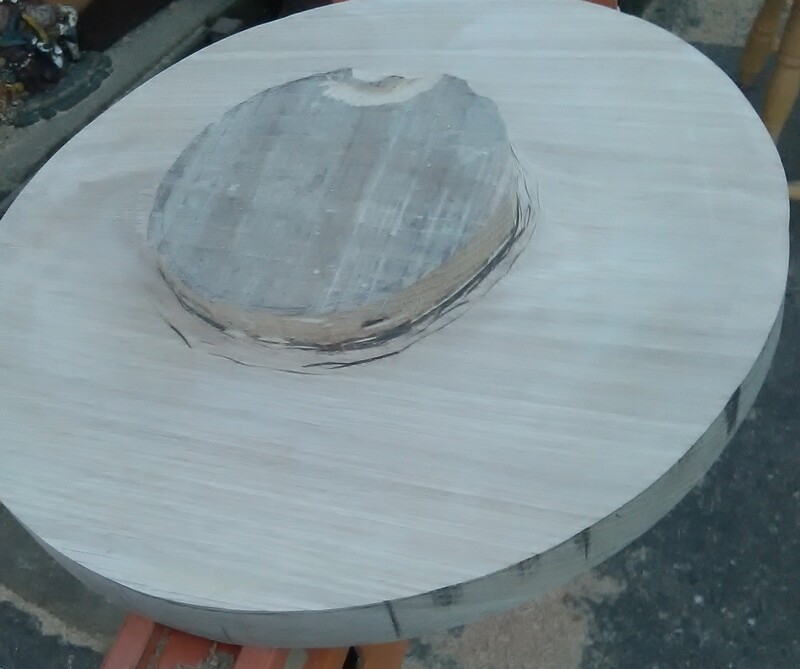 After some bandsaw calamities (my temperamental old machine finally gave up ~ luckily I had another in reserve, but without a blade…cue twiddling thumbs as I awaited delivery of a new one) I sawed the circle to shape. 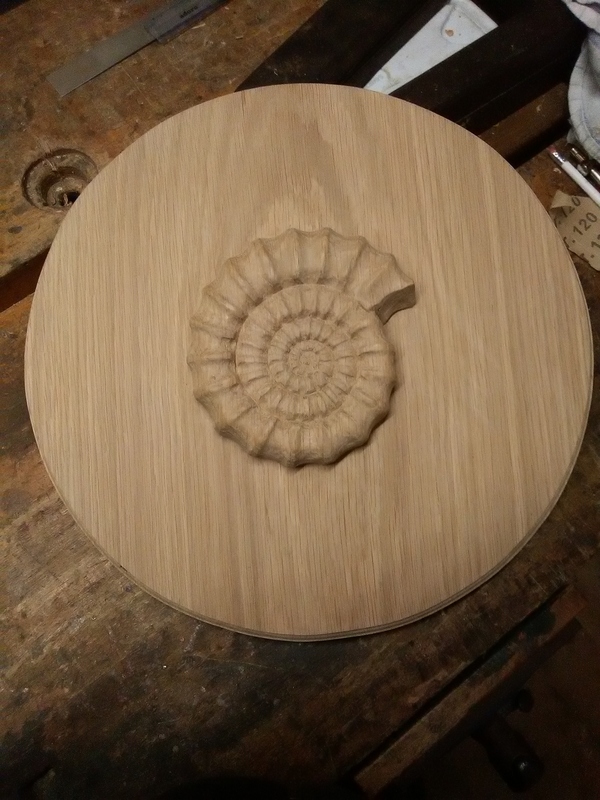 I’d drawn the area to be left raised for the ammonite and routed to half of the depth of the circle. 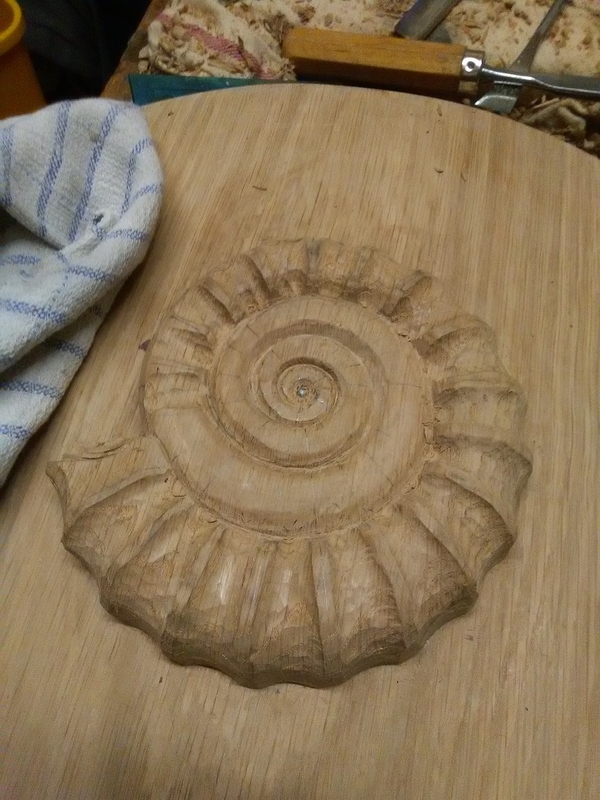 After drawing on the ammonite more accurately I tidied up the edges and the flat surface, making sure all the areas where they met were neat and crisp. 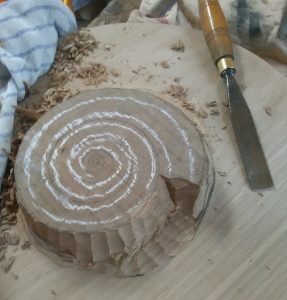 I then set about creating a bit of a Cumberland Sausage effect, lowering the coils as they turned into the centre and rounding them into a tube shape. The trick was to leave the finish slightly tooled, giving a better effect. 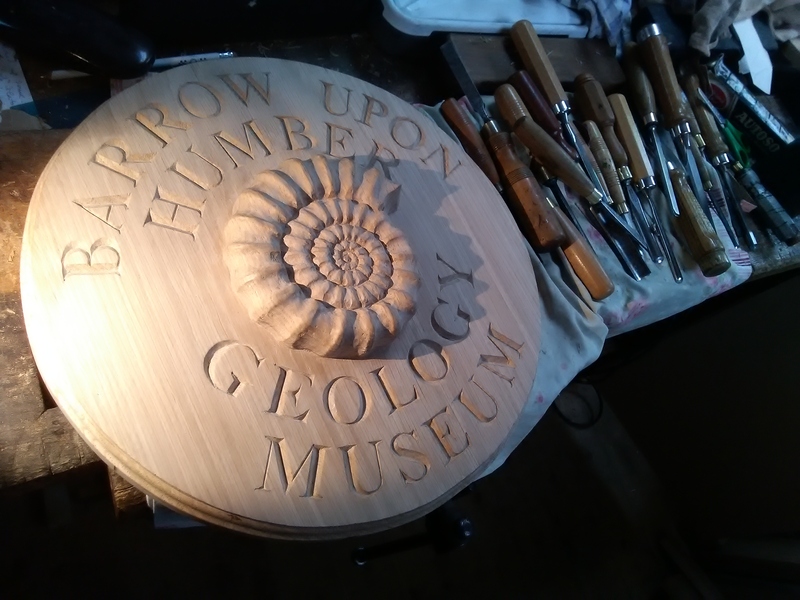 After completing the ammonite I routed the outer edges of the circle and traced on the lettering. 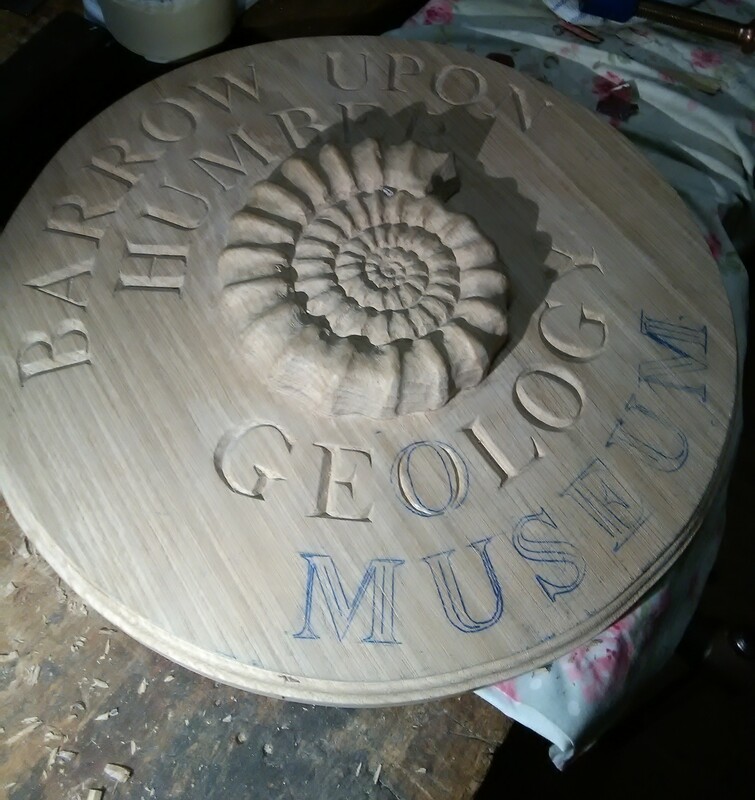 Once carved, a couple of coats of oil and the sign was complete.